Many people have a love / hate relationship with New Year’s resolutions. They either look forward to them – or grimace at the very thought. A recent study by the University of Scranton confirms this great divide, finding 45% of Americans usually make resolutions while 38% absolutely never go down that road. The study also reveals a sad success rate, with only 8% actually achieving their goals. Ouch. Disappointment! But, before you write off resolutions – consider some compelling news about those who do make resolutions! 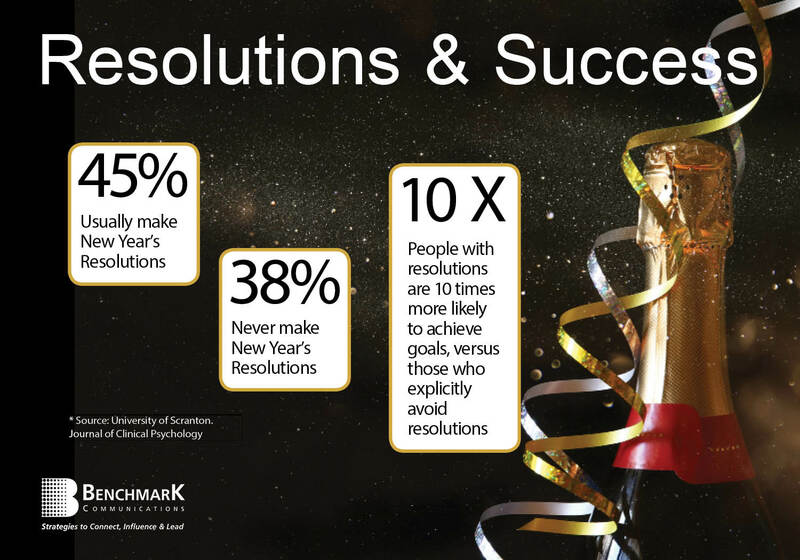 The Scranton study also says those who explicitly make resolutions are 10 times more likely to attain their goals than people who don’t explicitly make resolutions! So, what do you have to lose? Nothing! 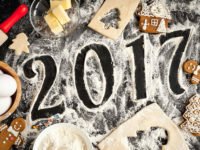 And, here are three things you can do to ensure resolutions work for you in the New Year. A remarkable study conducted in the Harvard MBA Program points out the importance of having a plan for your goals. The study focused on graduate students – some who committed to goals and others who did not: 3% of the students had written goals with plans to accomplish them, 13% had goals in their minds, but did not write them down – and 84% had no goals. Ten years later, Harvard found the 3% with written goals and plans earned 10 times as much as the other 97 percent of the class combined! Those who plan to succeed – succeed with a plan! Why not dare to plan and dream? 2) Forget the Computer… Write By Hand! Some people might look at the Harvard study and think, “OK, I will get my computer and write out my resolution plan for this year.” But, you might do better to put the computer away and grab a good pen. I have always believed there is something magical about writing things down by hand. During coaching and training sessions over the years, we have noticed a direct correlation between leaders and associates who take notes and their success rate. So, I was not surprised to read a study published in Psychological Science earlier this year that concludes that taking notes by hand is far better for retaining conceptual information, as opposed to typing. Writing is glue to the memory. It helps you process more, which improves retention. Writing out your resolution plan is like gluing resolutions to your brain, so you increase the stickiness of your goals. Many years ago my husband and I wrote down a dozen characteristics we wanted in our future lives. Having studied and taught Neuro Linguistic Programming (NLP) for many years, we also knew the power of visuals and metaphors. So, in addition to our hand-written list of goals, we drew a big oak tree in the middle of the page. For us, the oak visual / metaphor represented strength, roots and longevity. For years we kept that drawing where we could see it, but at some point it was packed away. Years later when we moved to the ranch of our dreams, we found our oak tree picture with the listed life goals – and wow! Everything we had written and drawn on that piece of paper had come true! Everything. piece of paper had come true! These three simple steps have worked for us and many others. When we coach leaders to achieve their goals and change limiting behaviors, we often have them also use a 7-step, Well-Formed Outcome for extensive goal planning. The Well-Formed Outcome builds in sensory elements to make the goals more compelling and ensures specific, measurable steps are taken to make goals a reality. As you look at 2017 with fresh eyes, invest an hour or two to write out and plan your resolutions. Happy New Year — and enjoy achieving your resolutions!